New York : Nearly 11 per cent of patients examined at trauma centres following motor vehicle collisions (MVC) have had at least one facial fracture, a study has revealed. According to the findings, the most common facial fracture caused due to MVC was nasal fracture (5.6 percent), followed by midface (3.8 percent) other (3.2 percent), orbital (2.6 percent), mandible (2.2 percent) and panfacial (0.8 percent) fractures. The researchers estimated that the use of an airbag alone reduced the likelihood of sustaining any facial fracture by 18 per cent compared with using no protective device, a seat belt cut the likelihood by 43 per cent and the combination of seat belts and airbags decreased the likelihood by 53 per cent. The researchers used data from the National Trauma Data Bank to assess facial fractures in MVCs reported by trauma centres. The data included 518,106 individuals who were involved in an MVC and required assessment at a trauma centre. 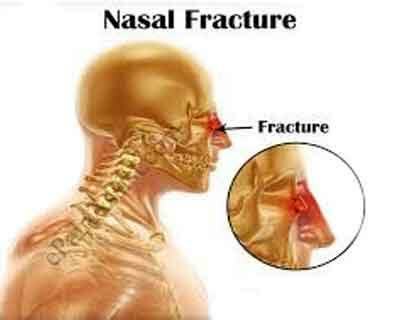 Of those patients, 56,422 (10.9 percent) sustained a facial fracture, according to the study. Of the patients who presented at trauma centres with a facial fracture, 5.8 per cent had airbag protection only, 26.9 per cent used only a seat belt and 9.3 per cent used both airbags and seat belts, while 57.6 per cent used no protective device, revealed the study. The likelihood of a facial fracture following a MVC was increased for individuals who were younger, male and used alcohol, said the study published in the journal JAMA Facial Plastic Surgery.